Powell Health Solutions (Miami) - Book Appointment Online! In 2004, Michelle C. Powell, DO, MPH, founded Powell Health Solutions, Corp. with one mantra in mind... Taking your health from average to excellent! Dr. Powell's vision has been fulfilled with a full-service multi-specialty health center. From family medicine to podiatry to psychiatric services, pharmacy, and vision, Powell Health Solutions covers the spectrum for you and for your entire family. We are your one-stop for all of your family's medical needs. Gone are the days where you have to drop off the grandparents to one medical center, take the kids to their pediatrician, while the husband goes to an internal medicine physician and the wife goes to her ob/gyn...all at different locations. We have solved the hassle of running around town to keep your family healthy. 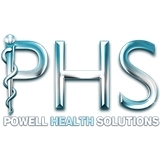 At Powell Health Solutions we provide for all of your family's medical needs under one roof. I was very pleased with Dr. Powell, however the gentleman who did my vitals and took my blood needs more training.